Harpreet Khurana is an Innovation Partner with the global innovation team at Salesforce based in New York City. As a member of a global team of innovation practitioners, Harpreet works with clients in sensing emerging technology trends and unmet customer needs. Over his 15+ years of experience that spans corporate strategy, innovation consulting and emerging technologies, Harpreet has worked in over a dozen countries helping clients with digital led business model transformation across multiple industries. 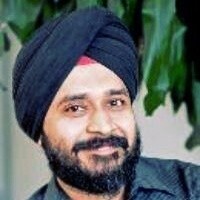 Prior to Salesforce, Harpreet led innovation teams at IBM, Hearst Interactive, Booz & Co. Harpreet started his career as CTO of a wireless startup focused on bringing ecommerce capabilities to the burgeoning Indian mobile market. Harpreet serves as an Adjunct Scholar at the Chazen Institute of International Business at Columbia Business School. Harpreet holds an MBA from Columbia University and a BS in Computer Science from the University of Bombay, India.